Though the Bay Bridge is scheduled to open on Labor Day, transportation officials on Wednesday announced that they will make a "drop dead" decision by July 10 to decide whether that September date will be a reality or not. "We're going to need a little more time. We're not quite there yet," said Steve Heminger, chair of the Toll Bridge Program Oversight Committee and executive director of the Metropolitan Transportation Committee. "We're not going to compromise on safety for any date...but Labor Day is still the goal." Imperfections in the welds at the base of the tower. Heminger said that they are mapping these welds and figuring out which imperfections must be removed. Crews found some grout vents had been broken on the skyway portion of the bridge, which meant that when it had rained, some steel had corroded. In 2008, inspectors found cracks in the welds of the deck plates and repairs had been made. The new eastern span of the San Francisco-Oakland Bay Bridge has another bolt problem - this one involving the bicycle path. Marianne Favro toured the bridge this morning to see how Caltrans already fixed the problem. These issues were brought out into the open at a news conference as another bolt problem was made public regarding the new eastern span on the Bay Bridge by the San Francisco Chronicle. This problem involves the bicycle path and decorative bolts that were welded on too tight, leaving no wiggle room. The immediate cost of the bike path problem wasn't revealed by Caltrans, but the bike path bolts need to be inspected and possibly replaced from the 1.2-mile bike path. 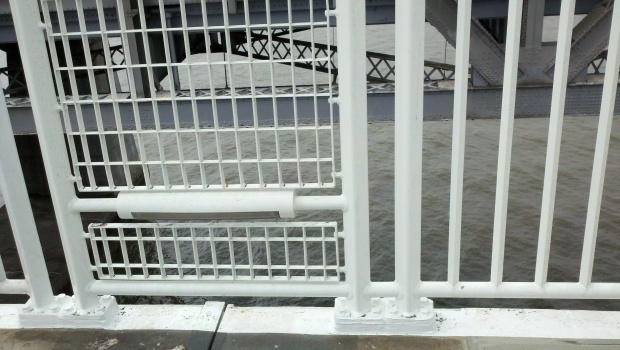 Still, this problem - discovered last year - isn't considered that significant, compared to the other brittle bolt problem on the main part of the bridge. Caltrans officials gave NBC Bay Area a tour of the Bay Bridge Wednesday morning, showing how the decorative caps were welded too tightly to the base plates, leaving no wiggle room on the bike path portion of the bridge. The bolts have either been replaced, or are in the process of being replaced. Caltrans spokesman Andrew Gordon said the problem was discovered during a routine check. He downplayed the issue: "On a project this massive, of this scope and scale, you are going to run into challenges from time to time." He said the whole point of the checks is to "catch these things in the field" and then fix them to make sure the "bridge is 100 percent safe before it opens to the public." The news comes as officials overseeing construction of the new span spoke about the more significant repairs needed to 32 seismic safety rods that broke after being tightened in March. Heminger said at Wednesday's news conference that the remaining rods that had been considered brittle are continuing to perform as designed, although engineers are concerned with the long-term stress of the rods corroding and cracking. There are options that engineers are still weighing, he said, such as dehumidifying areas, which reduces hydrogen levels and thus, tension, or just accepting the rods the way they are and monitoring them. These tests are expected to be completed in the third week of June. 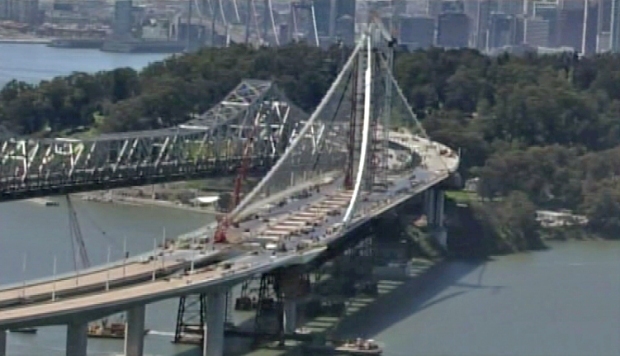 The new bridge is replacing a span damaged during the 1989 Loma Prieta earthquake.